I read this article and found it very interesting, thought it might be something for you. 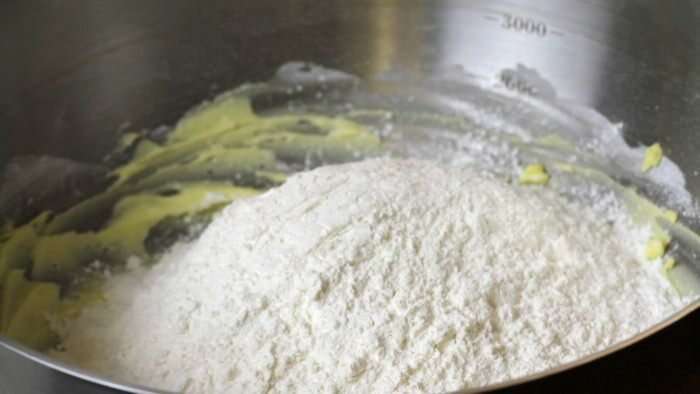 The article is called 3-Ingredient Shortbread Cookie Recipe – Quick & Easy and is located at http://eugeniekitchen.com/shortbread/. Here are 3-ingredient shortbread biscuits. Dipping in melted chocolate would be great for special occasions such as holidays and parties. I love thoese becuase the cookie should be tender and crumbly. For winter, especially Christmas, you don’t have to buy salty and sweet Scottish tradition anymore. Just use this recipe for family gathering next time. Sift 2 ¾ cups of all-purpose flour and set aside. A flour sifter is used in the video. And sift in 1 cup of confectioners’ sugar and cream until fluffy and homogeneously combined. Today I am making shortbread without mixer. 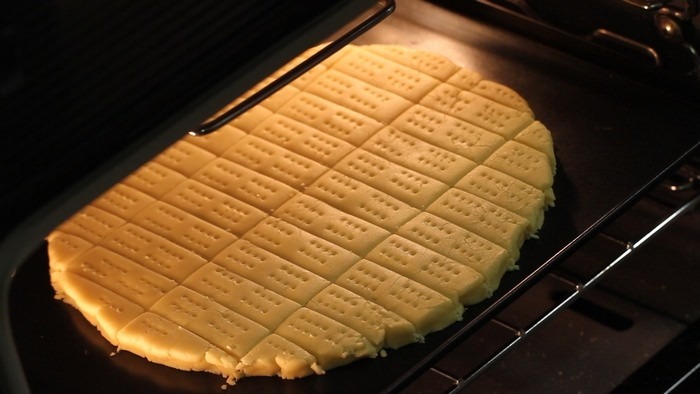 It’s perfectly okay to make shortbread only with hands. Add in sifted flour all at once and fold to combine. When the mixture looks like sands, transfer to a clean working surface and knead just once. Knead as little as possible to make tender shortbread. Then form a ball and flatten a little. Chill in the refrigerator for one hour to relax the flour in the dough. 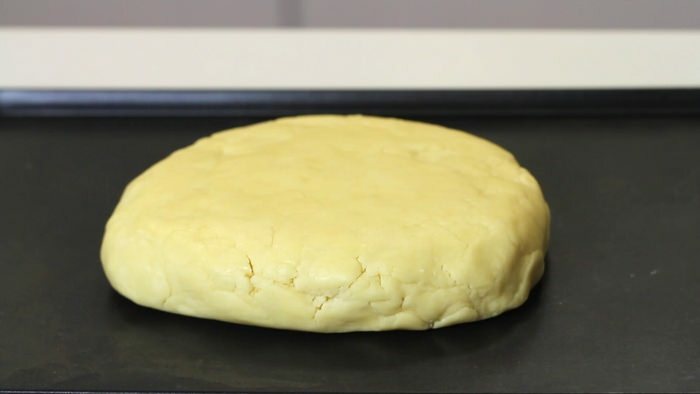 Now on a cookie pan roll the dough until ½ inch thick. 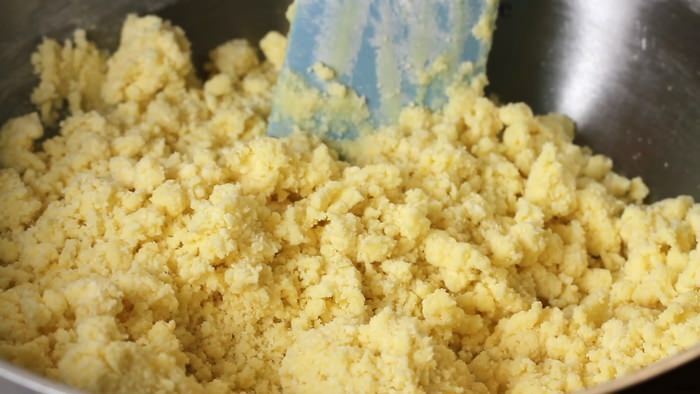 Then cut the dough with a pastry scraper. Today I am making traditional Walkers rectangular (shaped) cookies but you can cut in wedges if you want all the cookies to be in the same shape. And pierce with a fork, which will prevent bubbling and help cookies bake evenly. Bake at 300 degrees F. (150 C.) for about 45 minutes, or until light golden brown. Just out of oven cut the cookies again and let completely cool on the pan. 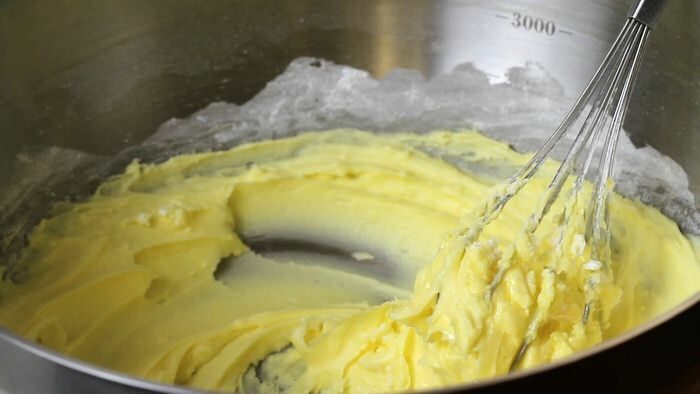 The amount of salt added in 1 cup of salted butter varies depending on brand: it’s somewhere between ½ teaspoon and 1 ½ teaspoons. 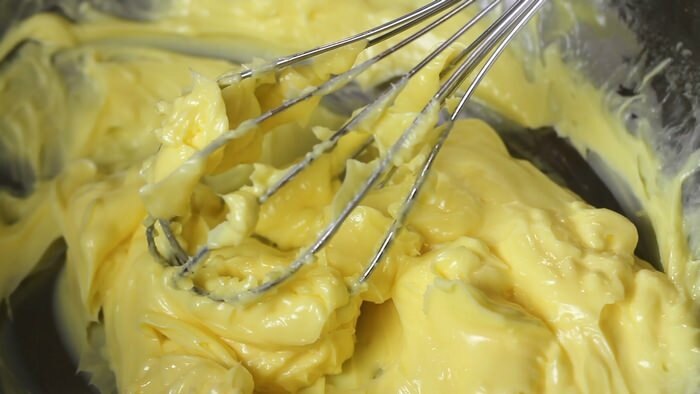 This recipe was featured on Huffington Post 8/26/2014. Do I need to grease a glass baking pan? Cookie pan should be non-stick or no ?